One of the many things I love about North Carolina is the natural beauty we’re surrounded by in every part of our state. With 14 National Parks and 41 State Parks, you could probably spend years just exploring them all. 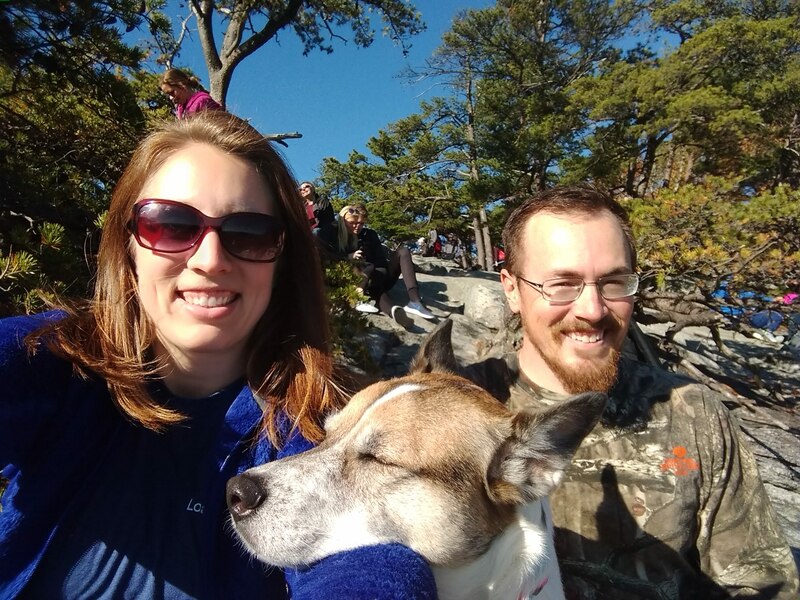 My husband and I have enjoyed hiking several parts of the Mountains to Sea Trail, as part of our overall goal to hike a portion of the Appalachian Trail in each state. 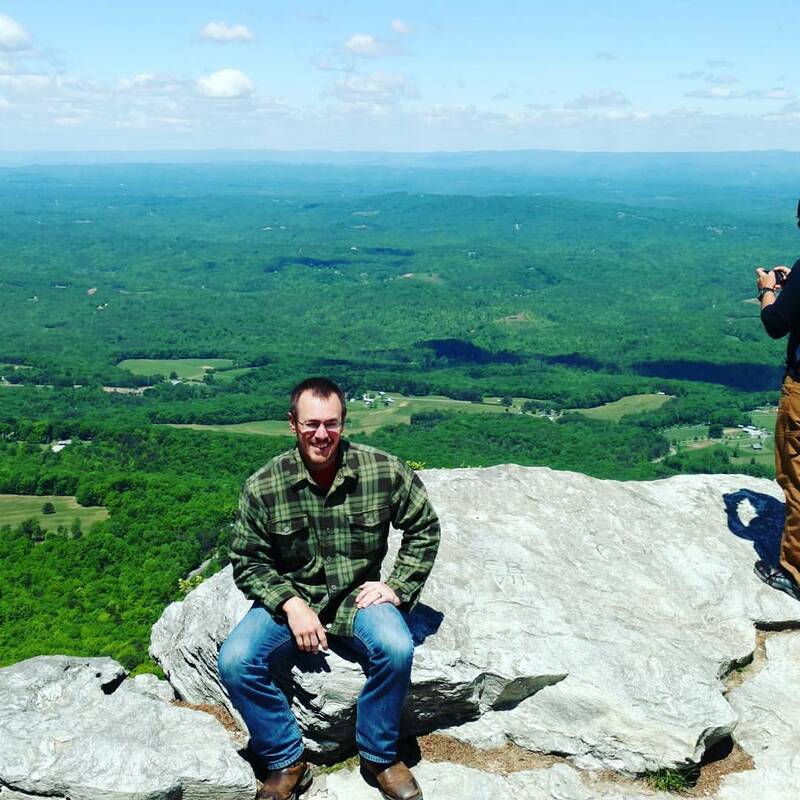 If you’re feeling ambitious, you can try taking a long weekend to hike the 36 miles from Hanging Rock State Park to Pilot Mountain State Park, which is part of the MST. 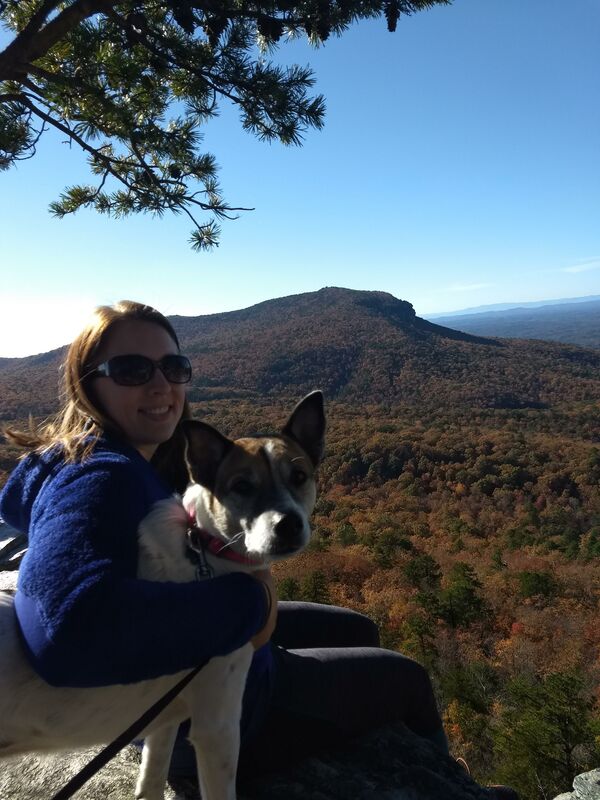 Someday we would like to hike that route, but so far we have just enjoyed camping in Hanging Rock State Park itself and enjoying the many stunning views that its trails offer. As you can see from this map, the trails vary from 0.4 mile easy hikes to 7.4 mile strenuous hikes, so there is something for every fitness level. 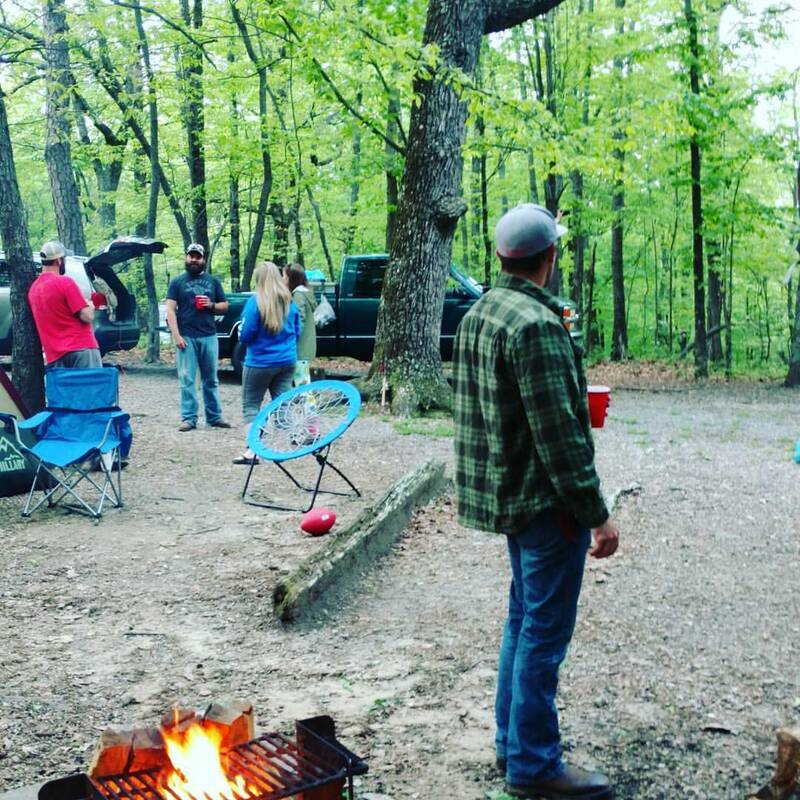 Our first trip to Hanging Rock was a Cinco de Mayo camping trip last year with some friends. 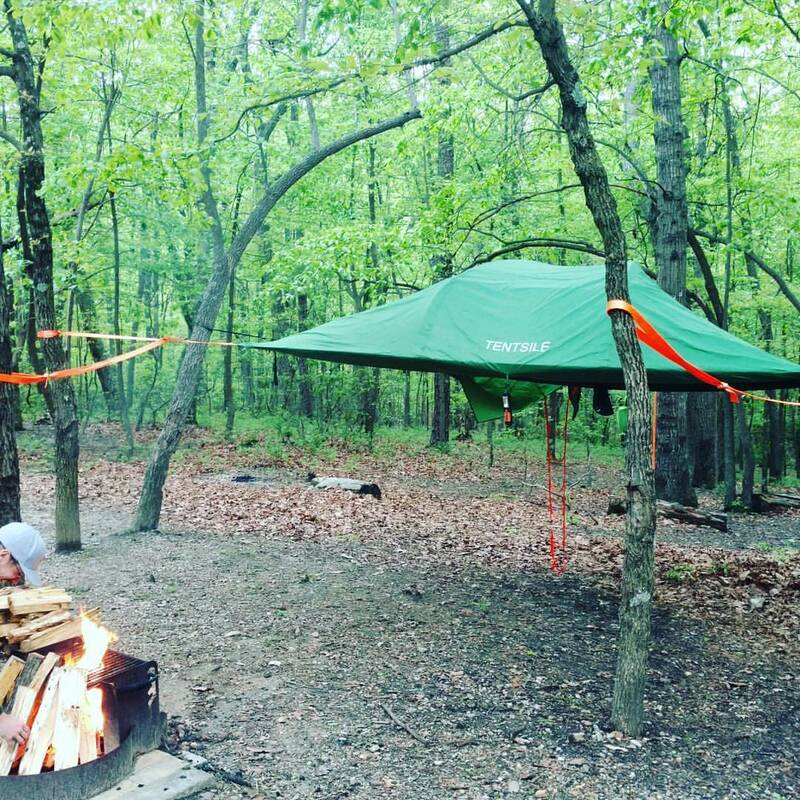 We brought the Tentsile you see above, several hammocks, and a regular tent for good measure. 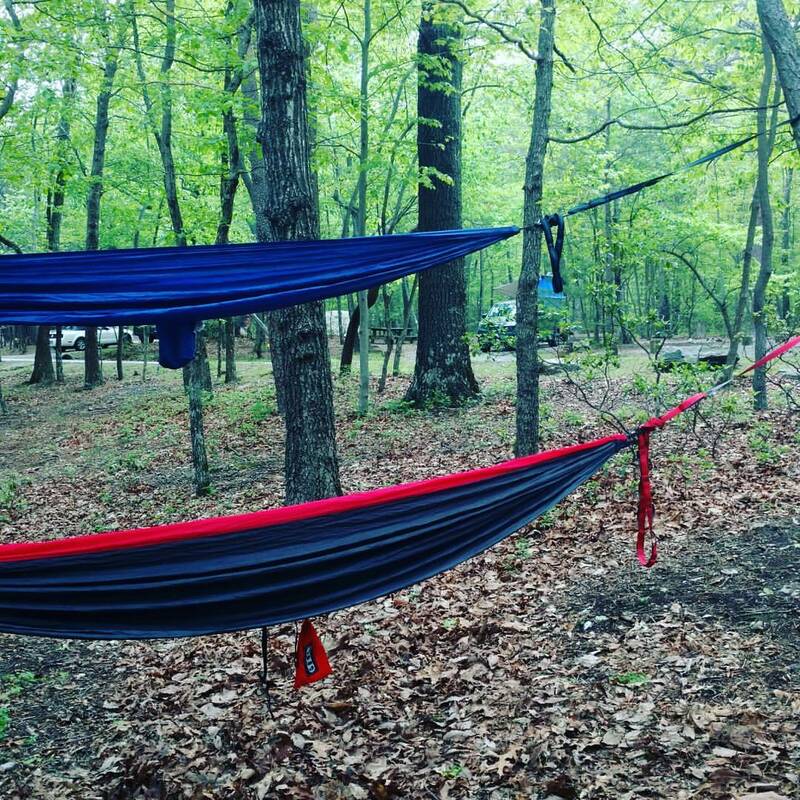 Fair warning, it was still quite chilly at night during this time of year and I wouldn’t recommend sleeping in a hammock (brrrr)! We stayed in the Family Campground area which provided a fire pit, area for cars, and a bathhouse (showers and restrooms) for $10 a night. Though “true camping” – roughing it without running water and digging holes in the forest for each toilet run – has its own adventurous appeal, I’ve come to prefer having real bathrooms and showers, so I guess you would call our version glamping. We loved spending time eating our home-made trail mix and playing games around the campfire in the evenings, and during the day we ventured out to explore the trails. 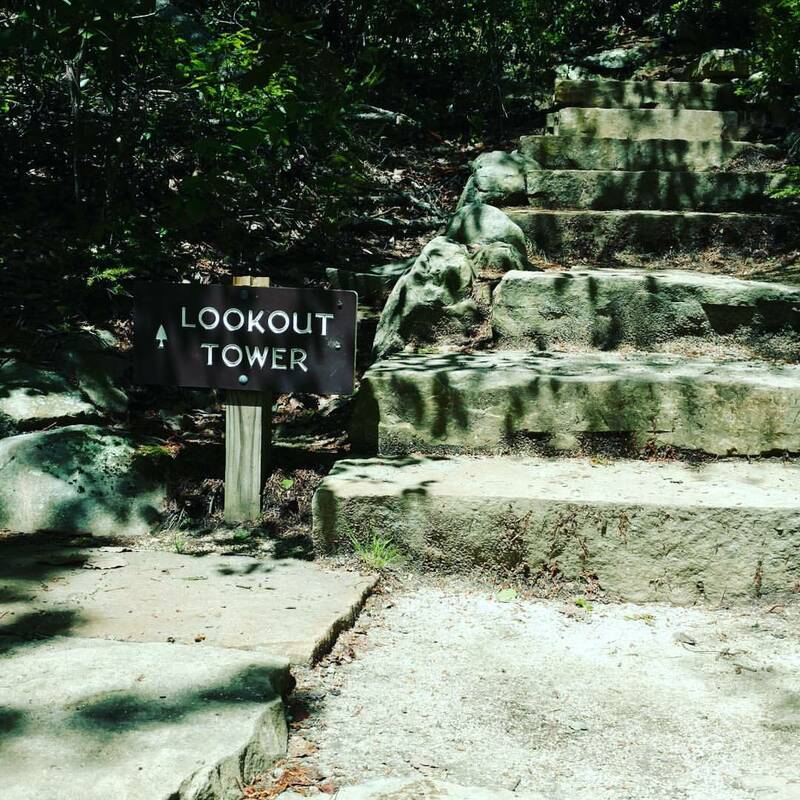 We opted for the 4.3 mile Moore’s Wall Loop that took us to the beautiful Lookout Tower you see below. 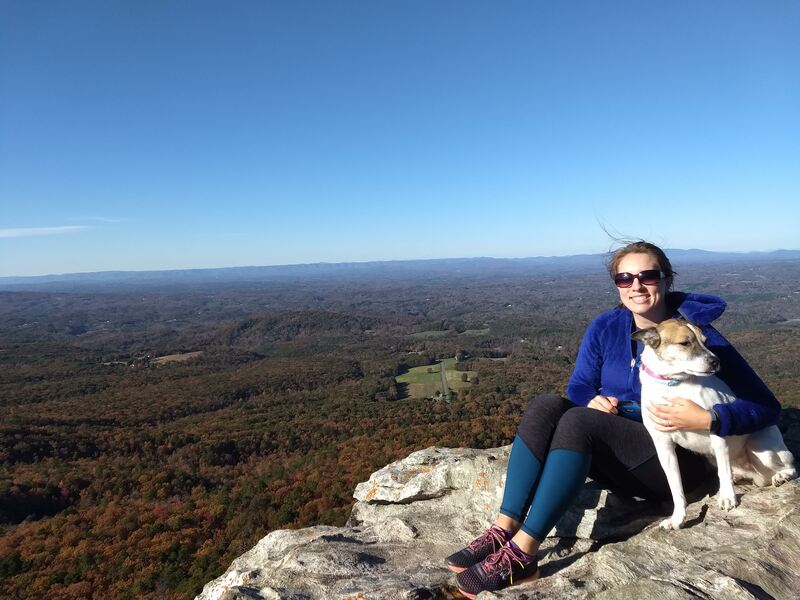 It was quite windy at the top, but a gorgeous view of Hanging Rock and the surrounding areas. 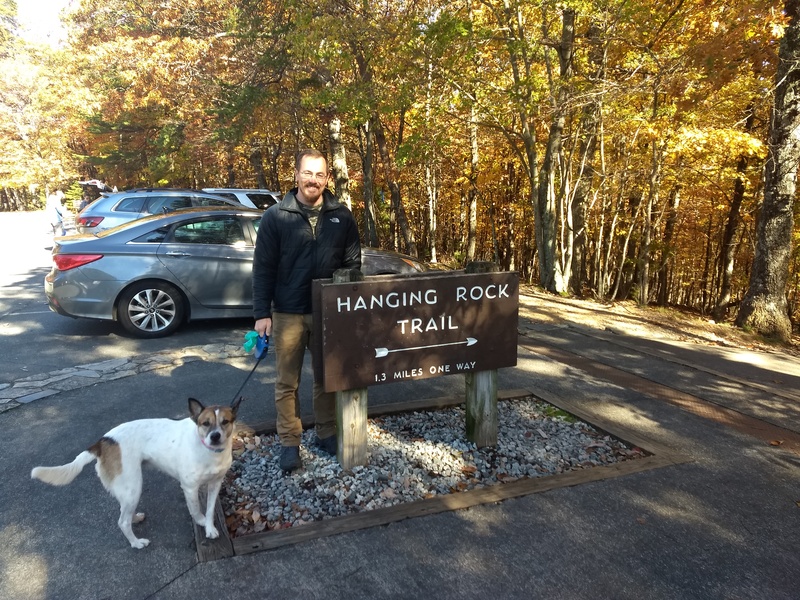 We didn’t get to hike up to Hanging Rock itself on that trip, but in November we returned for a day trip, and this time brought our rescue dog, Sasha, along for the ride. We arrived around 2:00 pm thinking that would be the warmest part of the day, but that was a mistake! We had to drive around the parking lot for about 15 minutes just waiting for someone to leave so we could find a place to park. Needless to say, this is a very popular place to hike, even in the winter! 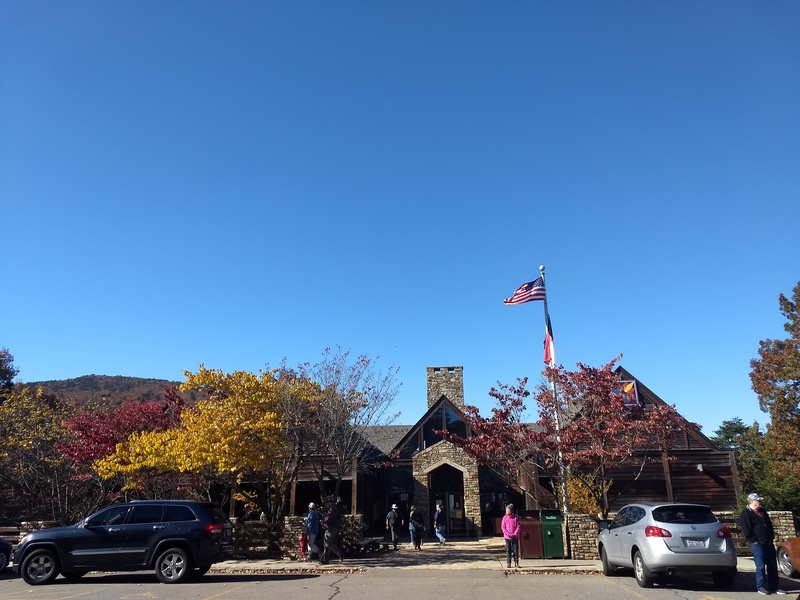 We went on the weekend of November 3rd, and as you can see, it was the perfect time to see the foliage showing off their colors! The trail was full of people (and adorable dogs), so it was slow going getting to the top, but that was ok with me, as we had time to stop and take some fun pictures along the way. 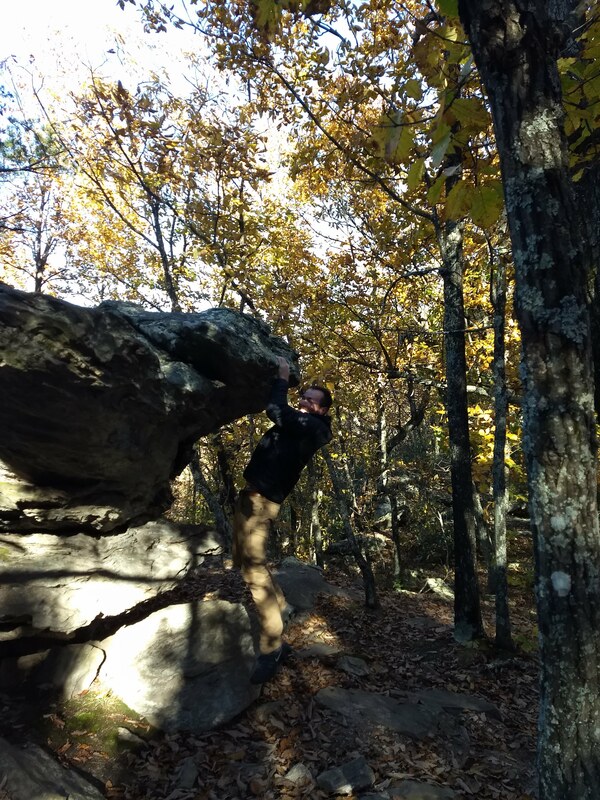 There are a LOT of steps and some areas where you have to climb while holding onto trees and rocks, so be sure you wear comfortable shoes with traction. This may seem obvious, but we saw far too many girls trying to climb in fancy heeled shoes. It took us a little over an hour to reach the summit and we were thankful we had each brought a full water bottle with us because all that climbing made us thirsty! We were all ready for a break when we got to the top and basked in the sun while we soaked up all the beautiful views. I had brought my 360-degree camera along, so we played around with it for a while and got some neat shots of our surroundings. We started our journey back down the mountain and surprisingly passed a bunch of people just starting on their way up around 4:00pm (I would not recommend hiking this trail late unless you bring a headlamp.) As you can see, some people used hiking poles which I’m sure came in handy on some of the steeper parts of the trails! 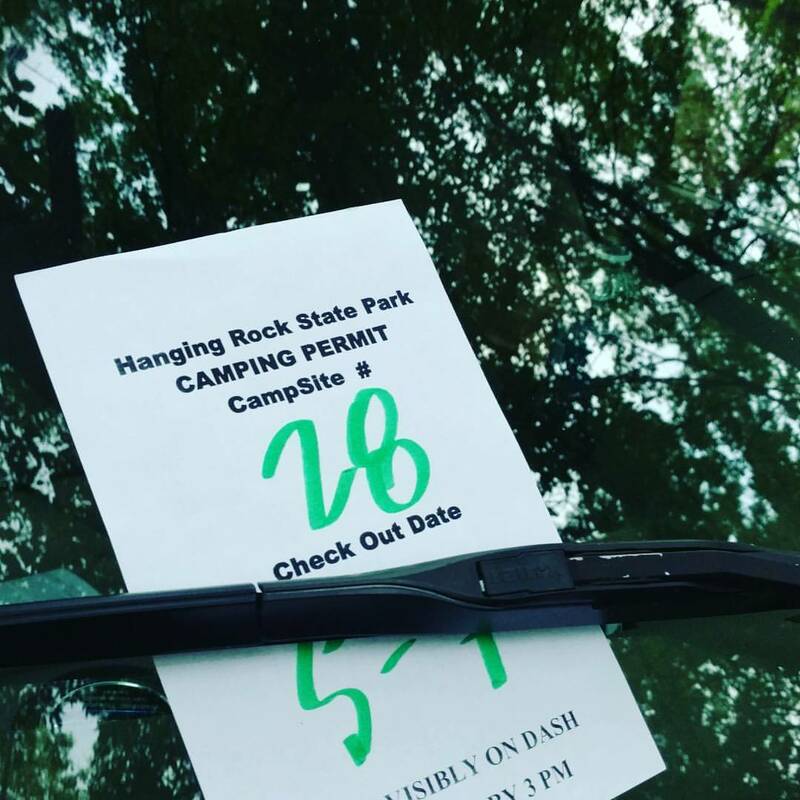 Once your hiking or camping at Hanging Rock comes to an end, you’ll probably be tired and famished. 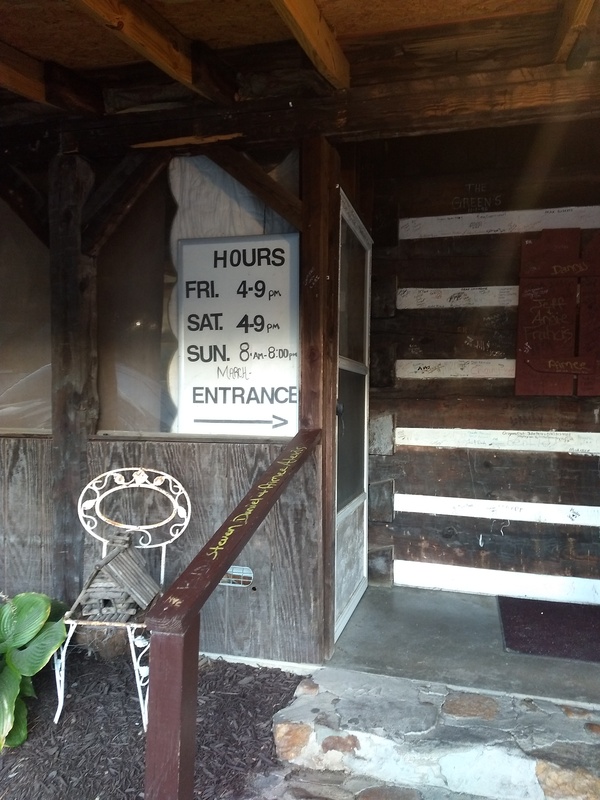 Luckily, there is a hidden gem of a restaurant only 30 minutes away that you won’t want to miss! 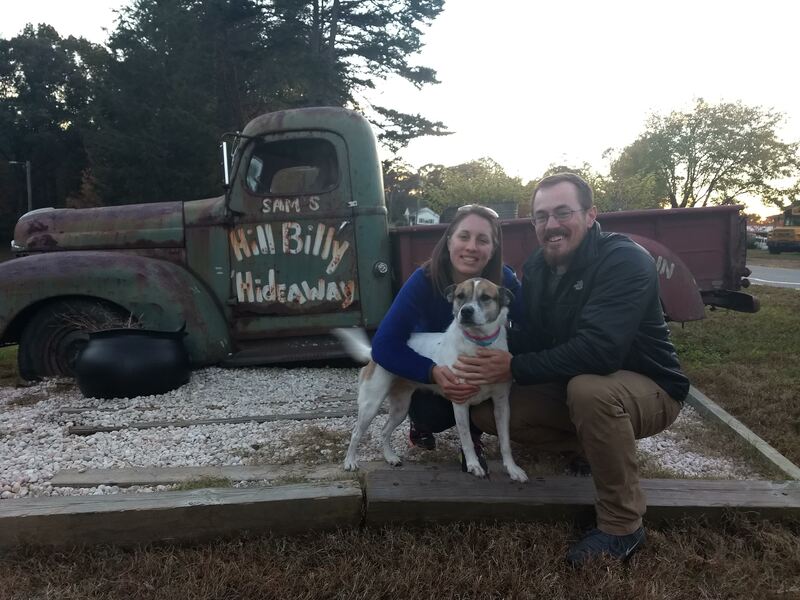 Do yourself a favor and head over to Hillbilly Hideaway in Walnut Cove. You’ll get unlimited family style food brought out to your table by the sweetest waitresses. It has a casual, family-friendly atmosphere that is a welcome respite after a day on the trails. 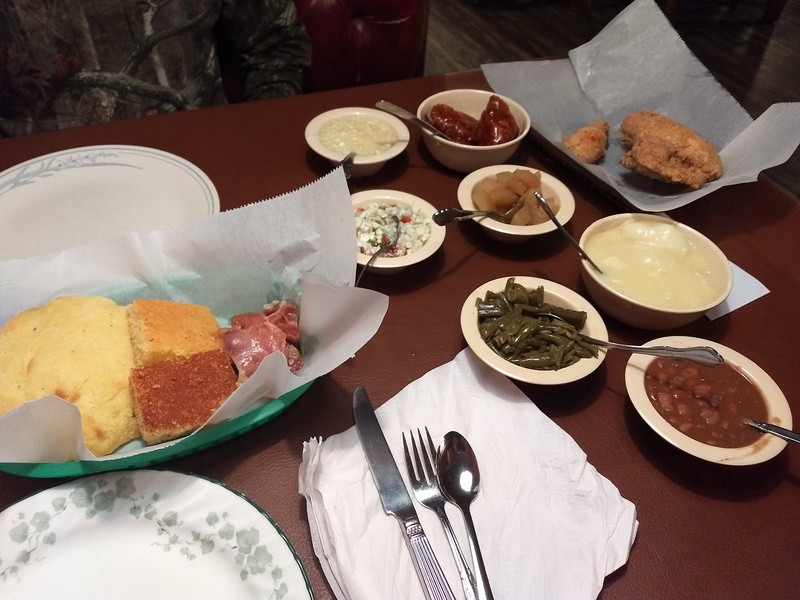 They always have delicious comfort food whether it be fried chicken, meatloaf, pot roast, or chicken and dumplings. You must also be sure to try their dessert. The peach cobbler and chocolate cake are to die for! We’ve been here several times and always leave full and happy! They do also offer outdoor seating (if it’s not too cold) so your fur baby can eat with you. 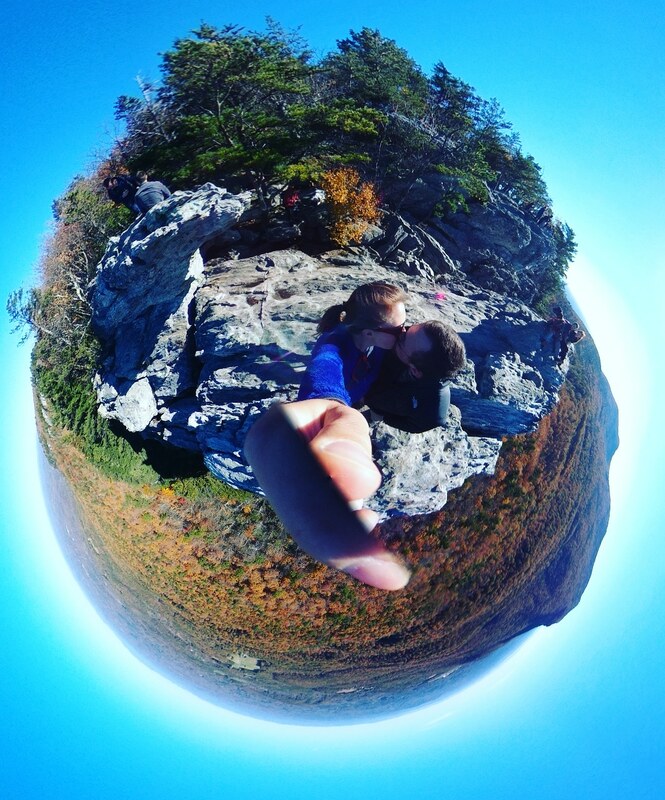 Thanks for joining us on our Hanging Rock adventures! I hope you enjoyed learning more about the amenities in the park and the comfort food nearby. 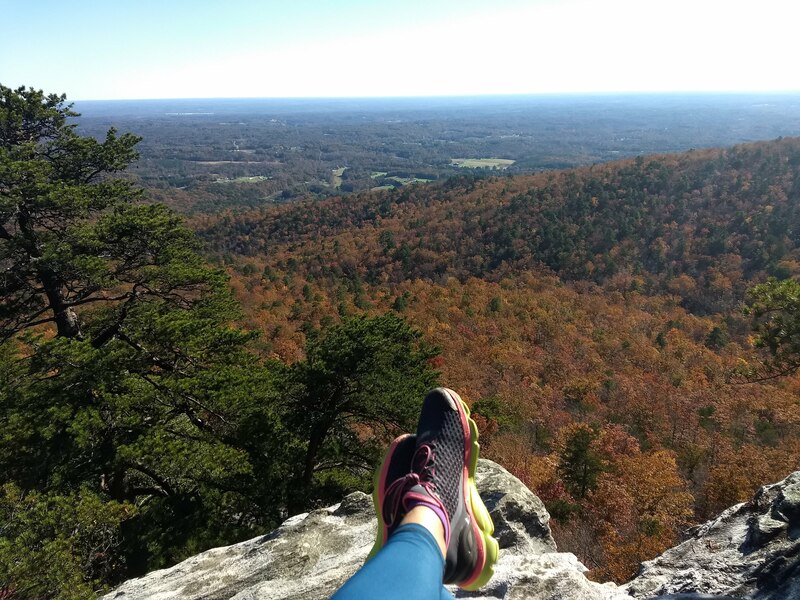 If you’re an outdoor enthusiast already or you’re looking to be more active and see more of the NC State Parks in 2019, check out their 100-mile challenge open to all NC residents. The goal is to walk, run, hike, paddle, and/or bike 100 miles of their trails during the calendar year. You can log your miles to earn digital badges and prizes like stickers, bumper stickers, t-shirts, and coupons for Great Outdoor Provision Company. My husband and I signed up for the challenge and started in January! 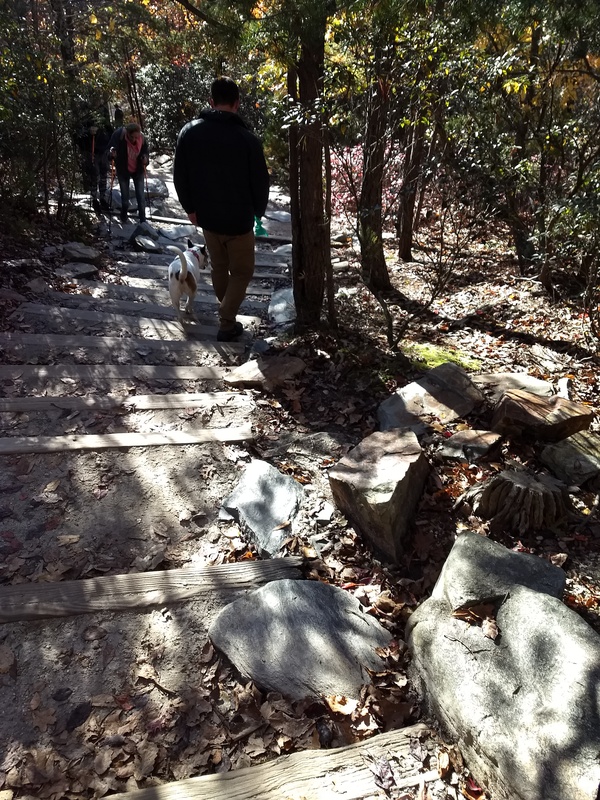 Before you go, I’d love for you to share your favorite NC trails and parks with me below. Will you be joining me in the 100-mile challenge? I'm a holistic health coach and outdoor lover who is passionate about nutrition and free fitness. Through sharing my adventures in healthy travel and non-toxic living, I hope to inspire you to embrace health and wellness, whether at home or on the road. Adventure is waiting, so why not go explore, whether it's your own city, state, country or overseas? Wow what a fun trip! I’ve never been to that park but would love to visit! 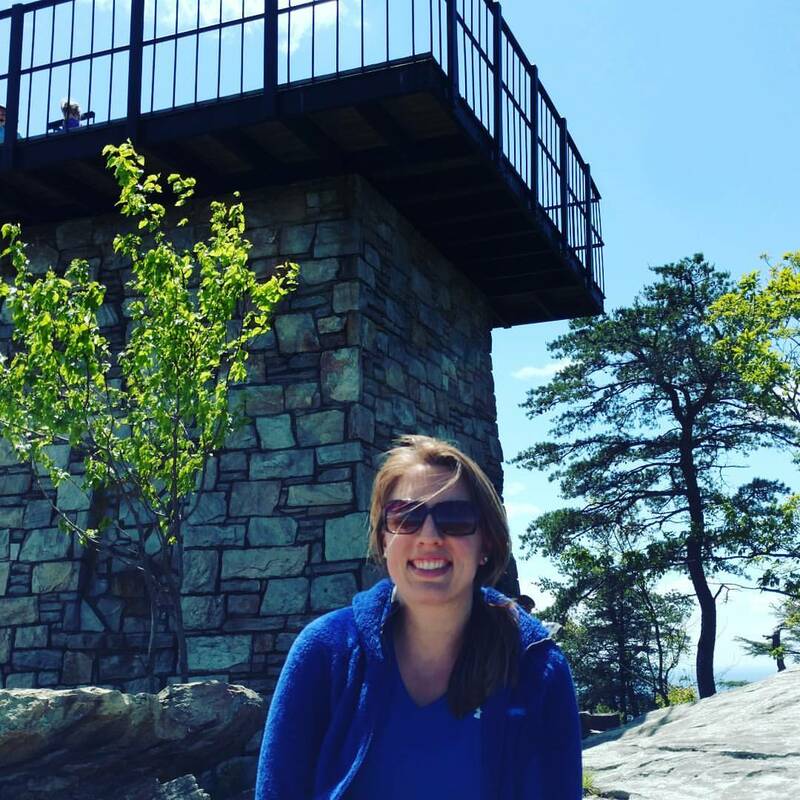 I’ve been to Chimney Rock and Pilot Mountain but I’ll have to check out Hanging Rock soon! Thank you for sharing. I’d love to check it out, too! I love exploring NC. Looked like it was loads of fun! Really enjoyed the great pics too. I’m glad you enjoyed them, it was a really fun park!